Queensland State Government initiative to provide lower cost sewerage treatment infrastructure to Australian regional country communities . 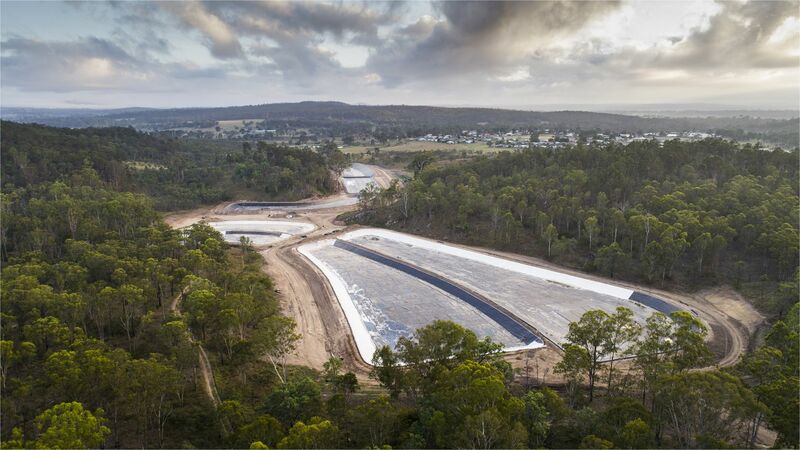 The original design was for all effluent ponds to be fully lined with 2.0mm smooth HDPE liner and the HDPE lined pond wall slopes to be covered with an 80mm thick grout concrete blanket. 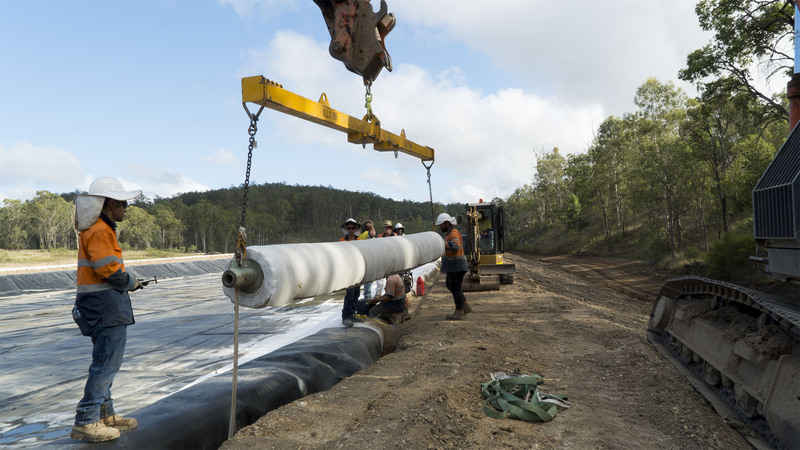 Our partner, Curtis Barrier International, submitted Tiltex 10 as an alternative protection cover to the HDPE lined pond slopes. The area to be covered is over 30 000 m2. 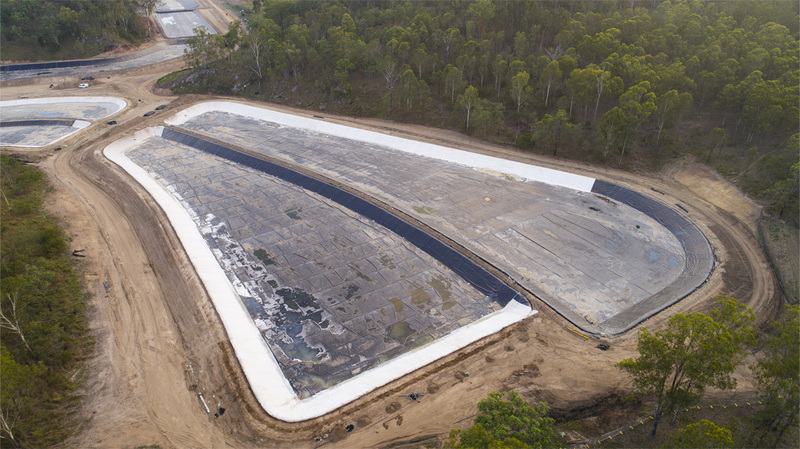 The concrete liner serves as a protection to the HDPE liner from feral animals, stock, vandalism and also enables people and animals to exit the ponds.